Summary: The image stream or imaginal process is our primary experience and permeates and conditions all facets of human life. We tend to take the background noise of the constant imaginal flux of the stream of consciousness for granted. We rarely focus our conscious awareness on this imaginal wellspring, but sometimes it intrudes on consciousness during our gaps in awareness – day dreaming, fantasies, reverie, lacunae, inspiration, discovery. This slipstream of emergent dynamic imagery is often the subject of psychotherapy and the source of creativity and visionary art. It is the voice of our Muse, our genius, if we but listen instinctively and respond to the initiatory call. Of the essence of things, of absolute being, we know nothing. But we experience various effects: from ‘outside’ by way of the senses, from ‘inside’ by way of imagination. We live fully immersed in an invisible vortex of pure hyperinformation, an autonomous stream of imagery, originating both internally and externally. It is primordial Chaos, the timeless, infinite sea of universal consciousness from which all structure arises. Images come in from outside through our senses, and are generated internally by unconscious dynamics as an immediate multisensory narrative of experience, often metaphorical in nature. Into the Mystic We can experience this aboriginal level of awareness through mythical and artistic imagination, which means watching images in the psyche’s mirror. What is required for this development is the artform of ‘being fully attentive and at the same time relaxed.’ Reverie is conducive to irrational awareness and noticing what comes before us in the inner theatre. Imaginal Inroads in Visonary Art The creative artist provides such imaginal inroads into realms barred to those who don’t share the visionary gift for opening the doors of perception. Archetypal Imagination is a ‘visionary imagination’, which is potentially present at every level of human experience, not only in the artistic, religious or spiritual sense. It means seeing through the outer to the inner essence of things and events to their inner dynamic. The work will have a distinctly new quality that may reflect a complete shift in the life, and the medium of the artist. Visionary creative acts result from the individual creator's willingness to allow dedifferentiation of their individual consciousness and then redifferentiation of consciousness influenced by a different mindfield that changes both the creator and their work. peak-experience. It is, in the other two modes, far more within conscious control, but it is still not your ordinary state of consciousness, for one is in some measure conscious of the Absolute -- outside time and space. Once the prototype of the solution is sensed there, it is experienced as vibrations, which grow into mental images, ideas instantaneously flow; they are clothed in a form which must be committed to paper at once lest they vanish, and finally, suddenly, the altered state ends. In healing, having been visualized by the healer, the perfect condition is manifested in the patient: in creativity the new product has been ‘realized’ in verbal or artistic form; in illumination the experience is ineffable and hence is felt only as overload on the emotions." Scientists have just discovered (2004) one of the biological bases of creativity. Ignoring what seems irrelevant to your immediate needs may be good for your mental health but bad for creativity. A tendency to be perceptually uninhibited leads to a higher rate of input and unique processing sequences that fan the fires of the creative spirit. “A study in the September (03) issue of the Journal of Personality and Social Psychology says the brains of creative people appear to be more open to incoming stimuli from the surrounding environment. Other people's brains might shut out this same information through a process called "latent inhibition" - defined as an animal's unconscious capacity to ignore stimuli that experience has shown are irrelevant to its needs. Through psychological testing, the researchers showed that creative individuals are much more likely to have low levels of latent inhibition. Artists unconsciously introduce symbols and icons that herald scientifc ages still unborn. The significant artist is a precursor who prepares the culture for transition to the future. Works of exceptional artists can be evaluated by how they reveal anticpation of the future. Creativity has a life, a vitality, of its own. We are the midwives of that which seeks to be born of necessity from Chaos. 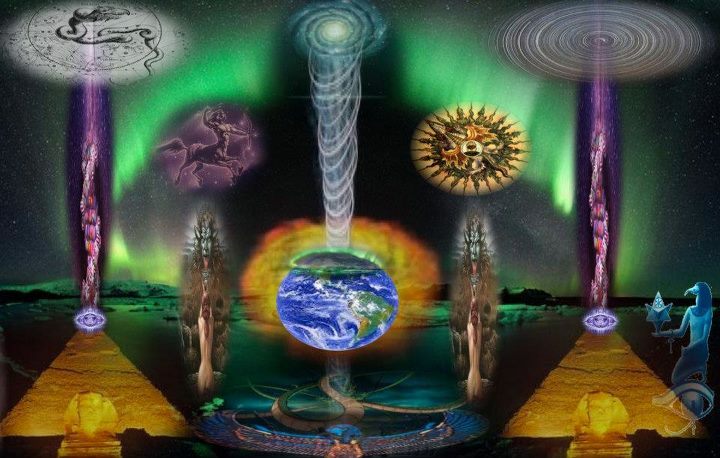 In this way, like the alchemists of old evoking the sacred in their Great Work, we free the spirit trapped in comon matter and embody that divine essence which was previously umanifest and unknowable. This is the mystery of the creative instinct, our primary calling. Miller, Iona (2004) “Profiling: Psychological Types and Temperaments: Understanding the Differences in People”. Grants Pass: O.A.K. McNiff, Shaun (1992). Art As Medicine. Shambhalla.